Season Events — это сезонные события, каждый год они проходят примерно в оно и тоже время и если в один год вы упустили свою награду, то не расстраивайтесь через год вы точно ее получите. Кроме бонусных наград за участие можно получить ачивки. Heavensturn is one of the many annual event festivals held in Eorzea. As the harshest cold of the winter fades, the attention given to the valorous citizens, of current times past, during the Starlight Celebration turns back to The Twelve once more. With the festive spirit of the Starlight Celebration still lingering in the air, the nations of Eorzea have already set about making ready for the next grand holiday — Heavensturn. What fate lies in store for Eorzea in the coming year…? Valentione’s Day is one of the many annual event festivals held in Eorzea. Though now seemingly driven more by commerce than caring, the spirit Valentione’s Day revolves around the will to take the time to express one’s emotions to the objects of their affections. Dedicated to a Countess of Ishgard who valued love above all else, there are still some that haven’t forgotten the humble and honorable intentions of this day. Currently observed throughout Eorzea, Valentione’s Day was originally established to pay tribute to Countess Arabelle de Valentione of Ishgard—a remarkable woman who exhibited unparalleled courage in her quest for true love. In present day, it has become an occasion on which people express feelings of love and gratitude to those most important in their lives. This is commonly done via the exchange of simple chocolate bon-bons crafted specially by the giver. While in recent years there have been complaints that the true spirit of the day has been grossly perverted—now little more than a marketing ploy conjured up by the Culinarians’ Guild and the Company of Eorzean Kukuru Growers to increase sales of their products—this does not take away from the fact that countless people across the realm use this tradition to bring happiness to others. And isn’t that what the countess would have wanted? Compared to most popular Eorzean festivals, Valentione’s Day can seem fairly low-key. While some celebrations feature city-wide parades, lavish decorations, and various other manners of bacchanalian revelry, Valentione’s Day is truly more about an individual’s quest to muster the courage to conquer his own fears of rejection. It is for this reason the realm does not see any dramatic changes for the duration of the festivities. This, however, does not mean people are on their own in preparing for the holiday. City-states provide free portions of powdered sugar—a rare sweetener imported from far-away lands to the south, and usually only reserved for the noble classes—with which Valentione chocolates are created. To receive a pinch, citizens need only ring one of the many special bells erected in convenient locations within Limsa Lominsa, Gridania, and Ul’dah. Each year, there are those who feel inclined to bring attention to the fact that these bells closely resemble those used during other festivals, such as the recent Starlight Celebration. It is unfortunate that these people must concentrate on the negative when the true meaning behind Valentione’s Day is about expressing gratitude to a fellow friend or companion—something that should not require unnecessary displays of extravagance. 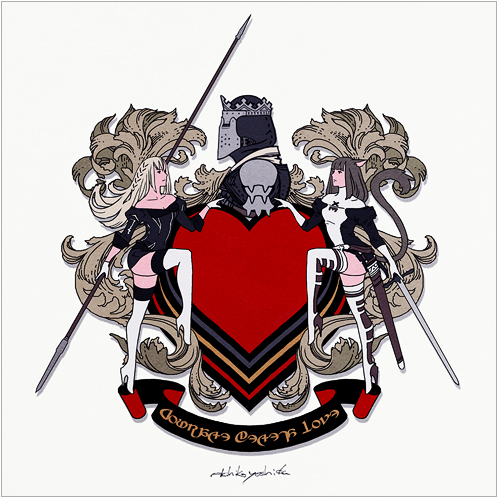 The heart-shaped escutcheon used in her house’s coat-of-arms was added after the death of Countess Arabelle, in remembrance of the similarly shaped shield she oft carried into battle. As Valentione’s Day became more popular, the story of Countess Arabelle and her crimson shield became more and more widespread, in turn, transforming the shield into a symbol of fortune and happiness. Two centuries ago, the Culinarians’ Guild was finally successful in obtaining permission from the House Valentione to use a representation of the coat-of-arms on their festive chocolates. Little Ladies’ Day is one of the many annual event festivals held in Eorzea. A springtime event of Ul’dahn origins, it is a celebration of the women of Eorzea. And who are to serve as these seneschals, you ask? Why, the realm’s gallant gents, of course! Yes, Eorzea’s menfolk have sworn a solemn oath to show their appreciation for all damselkind by dedicating this delightful day to them. Three centuries past, the city-state of Ul’dah was ruled by an iron-fisted sultan by the name of Baldric Thorne—a man feared across the region for his quick temper and his even swifter justice. Perhaps as punishment for his compassionless ways, the Twelve saw fit to bless the sultan with but a single daughter, Edvya, whom the sultan loved more than the sun and the moons. And it was this love that drove Baldric to take measures that would ensure no harm ever befell the princess—including her confinement to the royal palace and the assignment of a retinue of over fifty handmaidens and seneschals. It did not take long for the palace to realize something was afoot, and upon discovering that his only daughter was missing, the sultan, overcome with rage, immediately ordered the sultanate’s entire standing army to scour the city until they had found the princess. As for the royal impostor, thinking that Edvya may have been kidnapped by the girl’s mother, the sultan ordered the miller’s house torn apart, her family arrested, tortured, and thrown in the royal oubliette. As luck would have it, the princess had not wandered far from the palace, and was discovered in a nearby market by her father’s men. Once back in the safety of the palace, Edvya revealed the whole ruse to her father, explaining that she had conjured it on her own, and begged that he show mercy to the miller’s family. Upon realizing that the atrocities committed to the miller girl and her family were without warrant, he had the family released from the oubliette and summoned to the royal audience chamber. Here, not only did he personally apologize to the family and order the royal architects to design and build them a new home, but, in a move most unexpected, Baldric himself offered to serve as the daughter’s seneschal for a full day, saying that no young woman, regardless of her standing, should be denied the respect due all citizens of the sultanate; that all girls, common or noble, are ‘ladies’ in their own right. Rumors of this unforeseen display of humility were quick to spread through Ul’dah and ultimately proved to be extremely well-received amongst the smallfolk, who, until then, had perceived their leader as little more than a heartless despot. So well-received were they, in fact, that the sultan declared one day from each solar year on which he would select, via lots, a common girl from the city and serve as her personal seneschal, as he had done with the miller’s daughter. Hatching-tide is one of the many annual event festivals held in Eorzea. The festival was founded several years ago, before the realm fell to ruin in the wake of the Seventh Calamity. An eccentric Miqo’te named Jihli Aliapoh is said to have been visited in her dreams by the Twelve Archons of eld, descending from the heavens atop beautifully bedecked eggs. They spoke unto her a declaration of their return, and she now works tirelessly to see her dream someday turn to reality. Each year countless eggs are gathered and painted in an array of colors with splendid patterns. Though most serve merely as decorations about town, a select few chosen by Jihli and her Dreamers are reserved for Hatching Hour, a grand ceremony in which the chosen eggs are used to summon the Archons back to Eorzea. Hatching tide is a celebration of fellowship, exemplified by the Dreamers’ concerted efforts to amass eggs for the festival. Nevertheless, I could not help but wonder if there is more to their preparations than the ornaments about town. The Dreamers have seen fit to ship eggs to the three city-states, but in sums far greater than last year’s festival. The streets should be flooded with eggs, but there is neither hide nor hair of a surplus to be seen. It is my duty to seek the truth for our readers, and to that end, I scoured the taverns and alleyways of Eorzea for word of these wayward eggs. But therein lies the rub, for it would seem this year’s celebration has a twist─something to entice newcomers to partake in the egg-centric revelry: a Hatching-tide egg hunt. 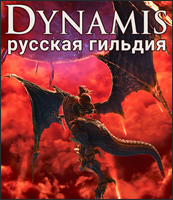 Before the fall of Dalamud, which would bring about the end of the Sixth Astral Era, a Bombard invasion set ablaze panic in the hearts and minds of the people, threatening to reduce our cities to smoldering rubble and ash. Thanks to a band of adventurers who unwittingly joined the Cascadiers, the igneous invaders were vanquished, and the realm was spared a fiery fate, or so reports had us believe. There has been talk of sightings around Costa del Sol in eastern La Noscea. However, one must always be wary of the whispers of sailors. Ever wont to make sea hares into giant sea serpents and moat carp into mermaids, their wild fabrications have led many an adventurer to misfortune and abashment. Although these were but simple rumors, I would be remiss to overlook reports now coming in from all corners of the realm. Talk of Bombards has spread like wildfire, and for the first time in five years, the Adventurers’ Guild has announced the return of the Moonfire Faire. Five long years have passed since the fall of Dalamud, and a new generation of adventurers has taken up arms in the absence of the Warriors of Light. But would they be so foolish as to run headlong into the proverbial oven that is the Moonfire Faire? There’s no mistaking the Cascadier officers thronging the streets with their pamphlets, permeating the air with platitudes and empty promises. It may not be long before even you, dear reader, come face to face with these ardent recruiters. Though times may change, the insatiable desire for exotic garments and gear shall ever persist among adventurers. A sense of yearning can be seen burning bright in their eyes at the mere mention of garbs they would receive in preparation for battle. The Adventurers’ Guild is sure to entice adventurers to heed the call of the Cascadiers, but will it be enough? I can only hope the whimsical farce known as Moonfire Faire will both drive off this incendiary incursion and bolster our spirits. Foundation Day is one of the many annual event festivals held in Eorzea. This event commemorates the release of the game and the founding of the Grand Companies of Eorzea. Ever since the Ministry of Palatial Affairs revealed the rekindling of the Immortal Flames, the latter has not spared a single spherule of sweat to promote its presence to the public. Stepping up their efforts, the Immortal Flames now host Foundation Day, a celebration commemorating the creation of the Grand Companies of Eorzea more than a millennium past. According to our sources, the concept was conceived at a congregation of committee members for the Eorzean Alliance,* who recommended that the revelry be simultaneously sponsored by all three city-states. Contrived to curb the consternation of civilians while saturating soldiers with spirit and steadfastness, insiders indicate that the event is also intended to regulate the rivalry raging between the Grand Companies to attract adventurers to their ranks. Regulated roistering aside, the return of the Immortal Flames alone has been a blessing for the burg. Not only has it aided the amelioration of anxiety over the Garlean threat; it also affords adventurers—rapidly rising as the realm’s richest spenders—a steady supply of salary. The prevailing perspective at present is one of expedited economic expansion. Even as I put pen to paper, a curious case of collaboration is being brokered between market and monarchy for the minting of memorial money and the subsidization of salutes by firearms. The current commercial climate is plainly propitious to profit. Whether you prefer to participate in a procession or peddle products to the public, we at The Mythril Eye enthusiastically encourage participation in the pomp and pageantry as a means of monitoring market movement. A military alliance established in the 1561st year of the Sixth Astral Era in the wake of Ala Mhigo’s fall to the Garlean Empire. Although initially formed of the four remaining sovereign city-states of Eorzea, the Ishgardians soon withdrew from the treaty, taking with them a bulk of the alliance’s military might. In part due to this, no joint standing army ever eventuated from the coalition, which has had to rely upon the privately run Adventurers’ Guild for the handling of such security issues as the beast tribe threat. With the reemergence of the Grand Companies, the demand for adventurers soars to a new high as each organization moves to entice capable soldiers to join its ranks. Daniffen. Randolfe. Llafymae. These names may or may not ring a bell. If ever you have had occasion to visit the Adventurers’ Guild, however, I daresay you already know the personages to whom they belong. Aye, I speak of the saints of old who grace guildleves—the individuals revered as paragons of virtue and raised high by the Twelve themselves. Their legacy remains with us to this day, most visibly in the form of splendid stained crystals upon said guildleves. And then there is the ancient custom called All Saints’ Wake. Legend tells that, at the same time each year, the Twelve honor the saints by inviting them to the celestial realm for a feast of deific proportions. While this show of favor from the gods is no less than the saints deserve, in ascending to the heavens, they leave the mortal realm bereft of their divine protection. During this time, it is said that creatures of darkness come out from hiding to wreak havoc upon mortalkind, and with such gusto as if to make up for the rest of the year when their devilry is kept in check. Fearing for their safety, folk took to returning home before sunset and barricading themselves indoors with kith and kin until dawn arrived to banish the night. Over time, this practice took root and flourished into the annual tradition we know today. All Saints’ Wake draws nigh once again, and folk can already be seen scrambling for the supposed security of their abodes before the sun kisses the horizon. As common sense dictates, there are those of certain professions who have not the luxury to observe the custom. However, it appears this fact was not made known to a rather superstitious crew of prison wardens, who decided to retire for the day well ahead of the scheduled change of shift. And as ill fate would have it, these wardens had charge over the surveillance of none other than a malevolent band of imps. Left utterly unguarded, the winged fiends managed to win free of their cells, and are now at large in the city-state. The imps have since assumed the form of citizens, the better to afflict hapless townsfolk with such vile deeds as only their vile minds can conceive. When the incident came to light, the Adventurers’ Guild was promptly tasked with returning every last one of the creatures to imprisonment. Runners have now been dispatched to each of the three city-states, garbed in the likeness of a demon said to plague the mortal realm during All Saints’ Wake. All attempts to seek an explanation for the peculiar choice of costume have yet to yield a satisfactory answer, but some suggest that it is intended to draw the attention of adventurers. One cannot find fault with the Adventurers’ Guild for keeping in the spirit of tradition in the face of an imminent outbreak of chaos. However, only the gods and the saints above know how their bid to recapture the imps will unfold. The Starlight Celebration is one of the many annual event festivals held in Eorzea. Coinciding with the December holiday season, the Starlight Celebration extols the selflessness, unity, and generosity of honored citizens past with a lavish festival of winter decor and fashion. Citizens of every nation are encouraged to embrace the spirit of charity and enjoy the pleasure of each other’s company. The Smilebringers take this time especially to give back to their communities, making appearances across the continent for no other reason than spreading happiness and encouraging you, as a fellow citizen of Eorzea, to do the same. The history of Eorzea is a dark one, stained with the blood of those who have fallen victim to innumerable episodes of strife. Several generations ago, one such episode erupted into a series of battles that not only claimed countless lives, but left thousands homeless and without food. Yet none were hit harder than the children of Ishgard, who, in addition to being left hungry and alone, were forced to endure the chilling alpine winds of Coerthas in order to simply survive. But it is oft said, the darker the history, the brighter the acts of good do shine. Each night, while on their routine patrols of the city, a handful of Ishgardian knights would seek out these children and offer them room and board within the walls of their company barracks. This, of course, was strictly forbidden by the knight’s charter, and so the kind men and women, many of them once orphans themselves, would disguise the children in the jackets of their scarlet uniforms, allowing them to slip into the building unnoticed. Until a group of former orphans gathered together in order to pay tribute to the knights who rescued them, and ensure that no one ever forgot their remarkable deeds. On the coldest week of each year, they would dress up in brilliant scarlet uniforms and pass out gifts to the children of the realm, in turn, passing along the happiness that they once received on a starlit night, many years past. And that tradition lives on today in the Starlight Celebration.